After launching a presidential exploratory committee in January, Democratic Sen. Kirsten Gillibrand made her run official, announcing that "I am running for president" in a video posted to her verified YouTube account Sunday morning. Gillibrand made the announcement in a video titled "Brave Wins," in which the New York junior senator quotes from the "Star Spangled Banner" to highlight examples of bravery in the history of the United States and to take on President Trump. "Brave doesn't spread hate," she said in the video. "Cloud truth. Build a wall. That's what fear does." Demonstrating her will to take on the president, Gillibrand ended her video with an announcement that her first major speech as a presidential candidate will take place outside of the Trump International Hotel in New York City on March 24. 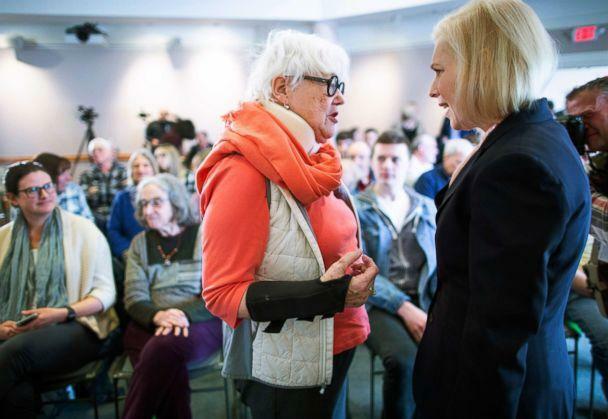 Since launching an exploratory committee two months ago, Gillibrand has introduced herself to voters in several swing states -- including Iowa, New Hampshire, and South Carolina. By officially entering the race, Gillibrand joins a crowded field, becoming the 14th official Democratic candidate running for president. Despite Gillibrand getting an early start in the race by launching her exploratory committee -- a traditional precursor to announcing a run -- she has barely registered in the polls. In a recent Des Moines Register/CNN/Mediacom Poll of Iowa, Gillibrand was not picked as the first choice candidate for president by a single survey participant. 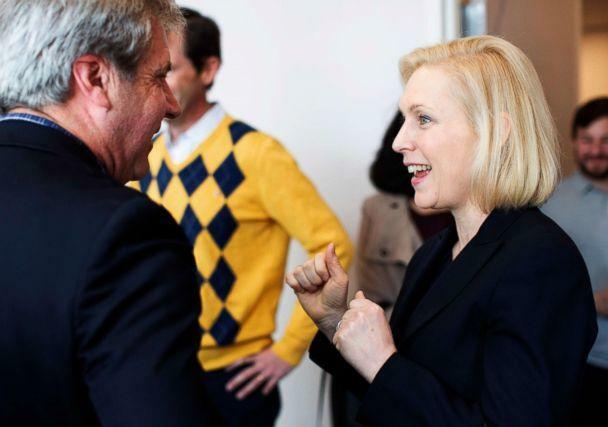 Gillibrand has also struggled to win endorsements and has yet to capture an endorsement from a single member of New York's congressional delegation. The senator, who was once considered a moderate Democrat, was elected to Congress in 2006. In 2009, when then-Sen. Hillary Clinton was tapped to be President Barack Obama's Secretary of State, Gillibrand was appointed to finish Clinton's Senate term. Since entering the Senate, Gillibrand has pushed a more progressive agenda. Gillibrand "proudly" touts her "F" rating from the National Rifle Association and is rated as "the seventh most liberal member of the 46-person Democratic Caucus" in the last Congress, according to FiveThirtyEight. Gillibrand had previously said her campaign theme would focus on fighting for children across the country. She has voted against Trump's position "more often than any other senator" as of December 2017, according to FiveThirtyEight. Gillibrand has also opposed many of Trump's cabinet and senior administrative nominees, including voting against Justice Brett Kavanaugh's confirmation to the Supreme Court. Gillibrand's campaign contends that "she is committed to fighting for what's right, even when it's hard." ABC News' Adam Kelsey and Nataly Pak contributed to this report.